Global central banks leaned into their dovish stances amid signs of decelerating global growth. The Federal Reserve’s patient monetary policy was reflected in a new "dot plot" that revealed the majority of Federal Open Market Committee (FOMC) members expected no hikes in 2019 and one in 2020 – a stark contrast with the Fed’s December projection of two hikes in 2019. The Fed topped off this dovish rate outlook with lower growth and inflation forecasts as well as a plan to end the current balance sheet reduction program in September. Striking a similar chord, the European Central Bank (ECB) delivered a cautious policy announcement, issuing downward revisions to economic growth and further extending the hold on policy rates. The ECB also announced its third series of long-term refinancing operations (TLTROs) – a stimulative measure designed to preserve favorable lending conditions. Joining the party, the Reserve Bank of New Zealand, Bank of Canada, Bank of England, and several emerging market central banks also adopted softer policy stances amid concerns of a global slowdown. Of note, the Norges Bank stood as an outlier, raising its policy rate for the second time since September, citing strength in Norway’s oil-driven economy. Global economic data continued to show signs of slowing, with geopolitical developments also weighing on sentiment. Risk sentiment faltered on growing evidence of a weaker global economy: Eurozone manufacturing PMIs sank lower into contractionary territory, U.S. payroll data disappointed markedly and Q4 GDP growth was revised lower, and Chinese industrial production surprised to the downside. The U.S. and China also appeared to remain apart on key terms for a trade deal, pushing out expectations for the timing of a signed agreement. In emerging markets, Turkey enacted de facto capital controls to support the lira, and in Brazil, President Jair Bolsonaro’s reform agenda appeared to derail as members of congress were unnerved by ongoing corruption probes. In the U.K., the Brexit deadline was extended until mid-April after parliament failed to decide on a course following the third failure to pass Prime Minister Theresa May’s deal. However, there were pockets of optimism, including a strong gain in Germany’s business sentiment IFO survey and a boost in U.S. housing activity on the back of lower mortgage rates. Risk appetites moderated somewhat as global rates fell sharply, even as many risk assets ended the month in positive territory. Growing evidence of a broad-based global slowdown and softer-than-expected stances from central banks contributed to a steep drop in rates across developed markets: The yields on 10-year government bonds in the U.S., U.K., and Canada all fell by 30 basis points or more. Germany’s 10-year yield moved into negative territory for the first time since 2016 (and ended the month nearly the same as Japan’s). In the U.S., the front end of the yield curve inverted – often seen as a precursor of recession – with the spread between three-month and 10-year U.S. Treasury yields moving negative. Risk assets were more mixed: Global equity markets still ended the month slightly higher, and the S&P 500 rose 1.9% to cap its best quarter since 2009, though the pace of gains moderated. Higher-quality credit spreads ended about unchanged, while lower-quality credit spreads widened slightly. Still, global equities were nearly 13% higher on the year and credit spreads tighter even though sovereign yields were significantly lower – a historically unusual combination. Finally, Brent crude oil rose 1.9% on favorable supply-demand dynamics, including OPEC production cuts and U.S. sanctions against Venezuela’s state-run oil company. Developed market stocks1 continued their recovery in March, rising 1.3% to wrap up the strongest quarter for global stocks in nearly a decade. U.S. equities2 climbed 1.9% in a roller-coaster month marked by concerns around weaker economic data, a dovish policy blueprint from the Federal Reserve, and delays in trade tariffs. European3 equities rallied 2.0% as the European Central Bank (ECB) tripled-down on its dovish commitment to spur inflation and growth by pushing out rate-hike expectations, lowering growth estimates, and extending its TLTRO (targeted longer-term refinancing operations). Japanese equities4 fell 0.1%, while the yen strengthened on the back of safe-haven buying, overcoming the Bank of Japan’s (BOJ) efforts at easing announced during the month. Emerging market5 equities rose 0.8% overall in March; performance in individual markets was varied, while local currencies generally weakened versus the U.S. dollar. In Brazil6, stocks fell 0.2% as GDP and industrial production data missed expectations and the arrest of former president Michel Temer on corruption charges tempered investor optimism. Chinese7 equities continued to rally in March, rising 5.1%: Improvements in macro data and in the outlook for U.S.-China trade negotiations supported the positive momentum from MSCI’s announcement at the end of February that the weights of China A shares would be significantly increased in global indices later this year. In India8, stocks surged 7.9%, driven by demand for local equities from overseas investors and optimism that Prime Minister Narendra Modi would be re-elected in April. Lastly, Russian9 equities increased 0.5% as oil prices and the ruble strengthened over the month. Developed market yields fell in March, spurred by more dovish stances from central banks as global growth continued to show signs of decelerating. In the U.S., the Fed reiterated its patient approach by lowering both its growth expectations and interest rate outlook. The U.S. 10-year Treasury ended 31 basis points (bps) lower at 2.41% (erasing the 28-bps increase from 2018), and the yield curve inverted between three-month and 10-year Treasuries for the first time since 2007. Cautionary tones from the Bank of England (BOE) and the ECB also contributed to the general drop in sovereign yields: The 10-year U.K. gilt yield fell 30 bps to 1% while the 10-year German bunds fell 25 bps and ended in negative territory at −0.07%. Rates in Japan also declined as the 10-year moved 6 bps lower to -0.08%. Global inflation-linked bond (ILB) markets posted positive absolute returns in March, driven by a synchronized move lower in global real rates. Global breakeven inflation expectations generally rose, balancing the continued upward momentum in oil prices against slowing growth. In the U.S., Treasury Inflation Protected Securities (TIPS) posted positive absolute returns but underperformed nominal Treasuries. The Fed’s dovish messaging, including keeping rates steady and signaling no more hikes for the remainder of the year, led to a rally in real rates, but U.S. breakevens broadly fell as growth concerns took center stage.10 Outside the U.S., European real rates rallied when the ECB unveiled new stimulus in response to sagging economic growth, marking the first policy reversal by a major central bank. European breakevens ended the month in positive territory, supported by a weaker currency. In the U.K., breakevens moved higher on heightened Brexit uncertainty and a weaker British pound. Global investment grade credit spreads11 tightened one bp in March. The sector returned 1.52%, outperforming like-duration global government bonds by 0.24%.12 Overall, spreads were relatively flat, as the benefits from declining government yields were offset by the risks around slower growth and potential credit rating downgrades in cyclical companies. Spreads narrowed in some industries, including REITs (real estate investment trusts) and building materials, but widened in others, including autos and airlines. Global high yield bond13 spreads widened 9 bps in March. The sector returned 1.09% for the month, underperforming like-duration Treasuries by 0.07%. The 7.1% return for the first quarter this year was the strongest start to a calendar year on record for the high yield asset class, amid a confluence of factors, such as the dovish pivot by global central banks, better-than-expected earnings, reflated equity markets, and anticipation of a U.S.−China trade deal. Over the second half of the month, high yield bond prices dipped modestly, but they recovered as higher equity market volatility was offset by a continued decline in global government bond yields. In March, the higher quality BB segment returned 1.33% while the CCC segment returned 0.47%. Emerging market (EM) debt’s performance varied by sub-sector in March. External debt posted positive returns of 1.45%14 as a tightening of underlying U.S. Treasury yields outweighed a 12-bp widening in spreads. However, local debt dropped, returning −1.33%15 driven by weakness in EM currencies versus the U.S. dollar. EM risk sentiment remained positive overall, buoyed by the dovish tone from global central banks, although the pace of gains since the beginning of the year removed much of the risk premium. Looking forward, markets will likely closely monitor the U.S.−China trade talks, the U.S. dollar, and global growth for direction on EM assets. Agency MBS16 returned 1.46%, underperforming like-duration Treasuries by 11 bps. A mortgage market rally and a continued increase in REIT issuance supported the MBS market, while the Fed’s balance-sheet unwinding continued to weigh on it. Lower coupons outperformed higher coupons; Ginnie Mae MBS underperformed Fannie Mae MBS, and 15-year MBS outperformed 30-year MBS. Gross MBS issuance increased 18% from February, and prepayment speeds increased 9% in February (most recent data). Non-agency residential MBS spreads were flat during March, while non-agency commercial MBS17 returned 1.71%, outperforming like-duration Treasuries by two bps. The Bloomberg Barclays Municipal Bond Index posted a return of 1.58% in March, bringing total returns to 2.90% for the year. Munis had mixed performance versus the U.S. Treasury index over the month. The front end of the yield curve underperformed U.S. Treasuries, while the intermediate portion performed in line and the long-end outperformed. High yield munis outperformed the investment grade index, with a return of 2.58% in March, which brought the year-to-date return to 3.83%.18 High yield performance was primarily driven by positive returns in the tobacco and special tax sectors. March’s total supply of $27 billion was up 6% versus the previous month and 2% year-over-year. Muni fund flows were strong: Aggregate inflows totaled $10.09 billion in March and $22.5 billion for 2019, which is the best start to a year since the data began in 1992. Despite dovish rhetoric from the Fed, the U.S. dollar ended the month 1.2% stronger against its G10 counterparts as U.S. economic data remained strong relative to those of other countries. The euro weakened 1.4% against the dollar when European manufacturing data disappointed and the ECB announced dovish measures. The yen was the best-performing G10 currency against the dollar, up 0.5%, benefitting from safe-haven inflows due to mounting global growth concerns. Meanwhile, in spite of strong-than-expected economic reports in the U.K., the British pound was the worst-performing G10 currency, weakening 1.7% versus the dollar on news and noise surrounding Brexit. The Chinese yuan was marginally weaker versus the dollar, down 0.3%, as optimism over a quick trade deal between China and the U.S. waned. Commodity returns were mixed in March. In energy, oil prices remained well bid as continued production discipline by OPEC and key partners, in particular Saudi Arabia, and disruptions in Venezuela signaled tightening supply. The expectation of lower U.S. output also provided support. Gasoline prices rose sharply due to refinery outages and petrochemical fires, which reduced supply. The agricultural sector posted negative returns. After a relatively uneventful month, corn prices fell at month-end when the U.S. Department of Agriculture’s (USDA) prospective plantings report indicated higher-than-expected acreage in the 2019 growing season. However, wheat prices rose following a late-winter storm that brought heavy snow and high winds to the U.S. Great Plains, and lean hogs posted strong gains, driven by increasing news reports on the spread of African swine fever in China. Base metals were largely flat for the month thanks to a softer-than-expected stance by central banks and optimism for a U.S.−China trade deal, which both helped offset concerns around softening global growth. Precious metals eased, though; palladium declined sharply after rising more than 30% this year, as mounting concerns over global growth threatened the outlook for autocatalyst demand. Based on PIMCO’s cyclical outlook from March 2019. In the U.S., we continue to expect growth to slow to 2%–2.5% in 2019 from nearly 3% last year. Factors contributing to the deceleration include fading fiscal stimulus, the lagged effect of tighter monetary policy over the past few years, and headwinds from the China/global slowdown. We estimate that China’s easing will not filter through to U.S. growth until late 2019 or early 2020. Headline inflation looks set to drop to 1.5%−2% this year, while core CPI moves sideways. With growth slowing and inflation remaining below target, the Fed is likely to keep rates unchanged in 2019. For the eurozone, we expect growth to slow to a trend-like pace of 0.75%–1.25% in 2019 from close to 2% in 2018, as weak global trade exerts significant downward pressure on the economy and Italy is in recession. An improvement in global trade conditions through this year should contribute to a gradual reacceleration. Reflecting firmer wage growth, we expect a moderate pickup in core inflation, which has been stuck at 1% for some time. In line with the European Central Bank’s (ECB) forward guidance, we expect policy rates to remain unchanged this year. In the U.K., we expect real growth in the range of 1%–1.5% in 2019, modestly below trend, and we continue to think that a chaotic no-deal Brexit is a low-probability event. We see core CPI inflation stable at or close to the 2% target as import price pressures have faded and domestic price pressures remain subdued. In the event of a soft Brexit by midyear, a rate hike by the Bank of England in the second half of the year would appear likely. Japan’s GDP growth is expected to be modest at 0.5%–1% in 2019, broadly unchanged from 0.7% in 2018. With core CPI inflation expected to dip into negative territory (due to temporary factors) around the middle of the year, we expect the Bank of Japan to keep its targets for short rates and the 10-year yield unchanged this year. In China, we see growth slowing in 2019 to the middle of a 5.5%‒6.5% range from 6.6% in 2018, but stabilizing in the second half of the year as fiscal and monetary stimulus find some traction and a likely trade deal between the U.S. and China supports confidence. We expect fiscal stimulus of 1.5% to 2% of GDP. Inflation remains benign at 1.5%-2.5% in our forecast, and we look for another rate cut by the People’s Bank of China in addition to more reductions in banks’ reserve requirement ratios. Yuan stability is well-anchored with a patient Fed and the understanding that this needs to be a component of the China−U.S. trade deal. Past performance is not a guarantee or a reliable indicator of future results. All investments contain risk and may lose value. Investing in the bond market is subject to risks, including market, interest rate, issuer, credit, inflation risk and liquidity risk. The value of most bonds and bond strategies is impacted by changes in interest rates. Bonds and bond strategies with longer durations tend to be more sensitive and volatile than those with shorter durations; bond prices generally fall as interest rates rise, and the current low interest rate environment increases this risk. Current reductions in bond counterparty capacity may contribute to decreased market liquidity and increased price volatility. Bond investments may be worth more or less than the original cost when redeemed. Investing in foreign denominated and/or -domiciled securities may involve heightened risk due to currency fluctuations, and economic and political risks, which may be enhanced in emerging markets. Currency rates may fluctuate significantly over short periods of time and may reduce the returns of a portfolio. Mortgage- and asset-backed securities may be sensitive to changes in interest rates, subject to early repayment risk, and while generally supported by a government, government-agency or private guarantor, there is no assurance that the guarantor will meet its obligations. Sovereign securities are generally backed by the issuing government. Obligations of U.S. government agencies and authorities are supported by varying degrees, but are generally not backed by the full faith of the U.S. government. Portfolios that invest in such securities are not guaranteed and will fluctuate in value. Income from municipal bonds may be subject to state and local taxes and at times the alternative minimum tax; a strategy concentrating in a single or limited number of states is subject to greater risk of adverse economic conditions and regulatory changes. Inflation-linked bonds (ILBs) issued by a government are fixed income securities whose principal value is periodically adjusted according to the rate of inflation; ILBs decline in value when real interest rates rise. Treasury Inflation- Protected Securities (TIPS) are ILBs issued by the U.S. government. Income from municipal bonds may be subject to state and local taxes and at times the alternative minimum tax. Corporate debt securities are subject to the risk of the issuer’s inability to meet principal and interest payments on the obligation and may also be subject to price volatility due to factors such as interest rate sensitivity, market perception of the creditworthiness of the issuer and general market liquidity. Equities may decline in value due to both real and perceived general market, economic and industry conditions. Commodities contain heightened risk, including market, political, regulatory and natural conditions, and may not be suitable for all investors. It is not possible to invest directly in an unmanaged index. This material contains the opinions of the manager and such opinions are subject to change without notice. This material has been distributed for informational purposes only. Forecasts, estimates and certain information contained herein are based upon proprietary research and should not be considered as investment advice or a recommendation of any particular security, strategy or investment product. Information contained herein has been obtained from sources believed to be reliable, but not guaranteed. No part of this material may be reproduced in any form, or referred to in any other publication, without express written permission. 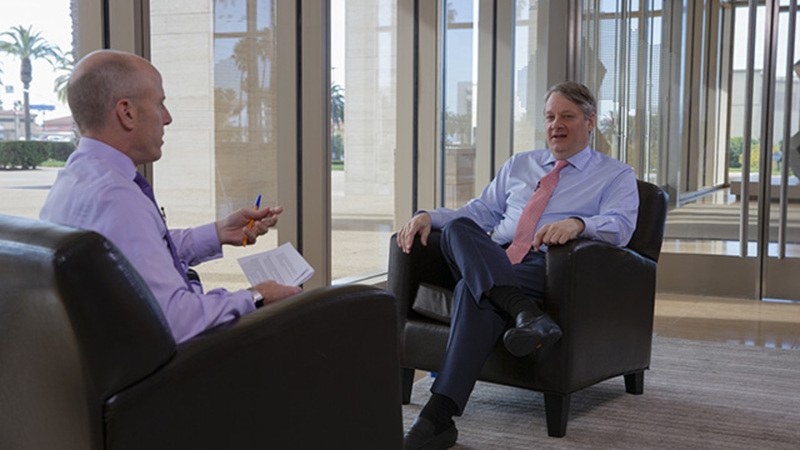 PIMCO is a trademark of Allianz Asset Management of America L.P. in the United States and throughout the world. ©2019, PIMCO. Past performance is not a guarantee or a reliable indicator of future results. It is not possible to invest directly in an unmanaged index. All investments contain risk and may lose value. Investing in the bond market is subject to risks, including market, interest rate, issuer, credit, inflation risk, and liquidity risk. The value of most bonds and bond strategies are impacted by changes in interest rates. Bonds and bond strategies with longer durations tend to be more sensitive and volatile than those with shorter durations; bond prices generally fall as interest rates rise. A low interest rate environment increases this risk. Reductions in bond counterparty capacity may contribute to decreased market liquidity and increased price volatility. Bond investments may be worth more or less than the original cost when redeemed. Equities may decline in value due to both real and perceived general market, economic and industry conditions. Investing in foreign denominated and/or domiciled securities may involve heightened risk due to currency fluctuations, and economic and political risks, which may be enhanced in emerging markets. Inflation-linked bonds (ILBs) issued by a government are fixed-income securities whose principal value is periodically adjusted according to the rate of inflation; ILBs decline in value when real interest rates rise. Commodities contain heightened risk including market, political, regulatory, and natural conditions, and may not be suitable for all investors. Statements concerning financial market trends or portfolio strategies are based on current market conditions, which will fluctuate. Outlook and strategies are subject to change without notice. Forecasts, estimates and certain information contained herein are based upon proprietary research and should not be interpreted as investment advice, as an offer or solicitation, nor as the purchase or sale of any financial instrument. Forecasts and estimates have certain inherent limitations, and unlike an actual performance record, do not reflect actual trading, liquidity constraints, fees, and/or other costs. In addition, references to future results should not be construed as an estimate or promise of results that a client portfolio may achieve.